LAistory: The 1925 "Hollywood Subway"
Think LA&apos;s relationship with underground rail transit began with the first tunnels blasted out to make way for the Red Line? Think again! LA&apos;s first subterranean transit system was a short stretch of tunneling dubbed the "Hollywood Subway," which moved its first passengers under the city in 1925 via electric interurban rail cars. 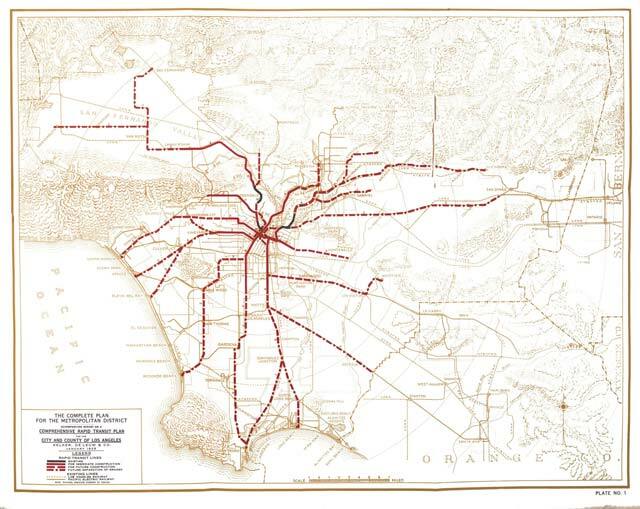 The idea for a subway system in Los Angeles was initially dreamed up by railroad man EH Harriman at the turn of the century—who wanted " a four track subway west to Vermont Avenue, branching then to Vineyard, Hollywood, Beverly Hills, and elsewhere"—but not pursued until 1922, when the city and the current stronghold of public transit, Pacific Electric, began to seriously consider the efficiency and necessity of transporting passengers via rail below the increasingly congested city streets (ERHA). Ultimately, by 1924 plans were drawn for a 1 mile stretch of double-track to go from downtown to First Street & Glendale Boulevard, which became known as the Hollywood-Glendale-Valley Subway, although was often just called the "Hollywood Subway." (And yes, you&apos;d be right in noting that the subway itself didn&apos;t actually travel through Hollywood, Glendale, or the Valley, but rather gave those three lines a joint way into Downtown.) From its tumultuous planning stages, to its construction and subsequent ridership, to its demise in partnership with the ultimate collapse of PE&apos;s transit system, the story of the 1925 "Hollywood Subway" is fascinating part of LA&apos;s history. Seeing as Henry Huntington&apos;s massive PE Red Cars and the Los Angeles Railway (LARy) Yellow Cars (shorter-distance neighborhood streetcars; pictured at left) were how Angelenos moved about the city without their own four automobile wheels, the pressing need for additional transportation that did not further impact city streets was an idea that many people in Los Angeles in the early 1920s supported. Engineers, hired to consult city planners, the Traffic Commission, and Pacific Electric (PE), saw tunneling as the most viable solution. In April of 1923, engineer Samuel Storrow appeared before the executive committee of the Traffic Commission and told them: "No other solution of the traffic problem for interurban cars or &apos;long haul&apos; local cars has been able to justify itself," and that subways were a necessity ("City Subway Need"). Plans at the time were to have a grade crossing at First Street and Glendale Boulevard and to have a terminal station beneath Pershing Square, both of which Storrow said should be re-thought. During this phase of planning, multiple ideas were considered, but by September of that year they were thought by some to be "woefully inadequate" by two city engineers who drafted a report they submitted to the city ("Vast Rail"). In this report, authored by City Engineer Griffin and Chief Engineer Lorentz of the Board of Public Utilities, cautioned against a terminal under Pershing Square, but also wanted to guarantee that "the railway be permitted to build under a part of the downtown park in such a manner that its present appearance be not disturbed," ("Vast Rail"). It&apos;s important to note that in the 1920s and 30s, Pershing Square was a beautiful park and oasis in the bustling city known for its tropical flowers and beautiful statues--not the unseemly locale for covert homosexual "cruising" it became in the 40s and 50s, nor the run-down magnet for the indigent it then became in the from the 60s until the early 90s. Another concern of the engineers was that the Pershing Square location was "so completely inadequate that the capacity of such a system would not be sufficient even by the time this project could be completed" ("Vast Rail"). Even in 1923, Los Angeles was looking to build a "city-wide subway system to meet demands imposed by unprecedented growth of the city and Southern California towns" ("Vast Rail"). This particular plan had four projects attached to it, one being the "Hollywood Subway" which would go from downtown to the intersection of Santa Monica Boulevard and Hoover Street (using Sunset Blvd and Belmont Ave), the second called the "Vineyard Subway" which would go from Eighth and Olive along Tenth then Fifth "following the present Pacific Electric right of way to Vineyard" which would "care for traffic to beaches," the third being an extension of an existing elevated rail system in the downtown area that would connect with another branch of the elevated in order to move people to Long Beach and the harbor, and fourth, an eastward-bound subway aimed to cater to Pasadena traffic by way of originating downtown and traveling to Macy Street and across the LA River ("Vast Rail"). But the most important point of Griffin and Lorentz&apos;s report was that they wanted the City Council to shell out $10,000 for a formal survey to be conducted which could solidify the feasibility and cost of such a massive undertaking. Enter the engineering firm of Kelker, De Leuw, & Co. from Chicago, who were brought on by the City Council and the County Board of Supervisors to conduct "a transportation survey of the entire metropolitan area," ("Changes Urged"). They "were asked to create a plan to accommodate a future city population of 3,000,000" (Metro.net). By June of 1924 they&apos;d already advised their employers that a proposed terminus at Hill Street between Fourth and Fifth was not wise, and suggested a sub-grade (below street level) terminus instead under Olive Street between Fifth and Sixth (Pershing Square) because it would interfere less with street traffic, and also could "be converted into a through station for use when extensions are made to the underground lines," which would ultimately take place as part of a city-wide system that could "serv[e] the entire community" ("Changes Urged"). While Kelker, De Leuw continued their work, the idea of a terminal beneath Olive began to take hold, although the plan to end the line above ground (at grade) at the current Hill Street station was still the official word. The plan shows a number of proposed immediate and future subways, one across Hollywood to La Brea, another from downtown out 7th street, up Vermont, across Third St. initially to Larchmont as subway with a future extension on elevated rail out Third St. to Beverly Hills then down Wilshire to the ocean in Santa Monica. 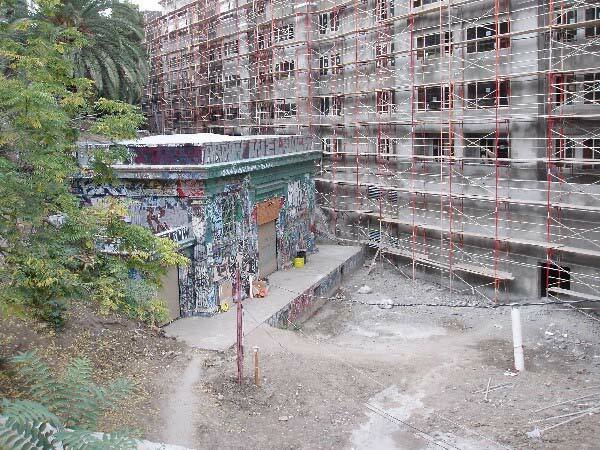 Also shows a subway from downtown across Pico, initially to Pico/Rimpau with a future extension to Venice Beach. [...] The plan recommended for immediate construction included 153 miles of subway, elevated rail, and street railways at a projected cost of $133,385,000. Strong opposition by the business community to planned sections of elevated rail, and voter reluctance to tax themselves for the benefit the privately held Pacific Electric Railway and Los Angeles Railway effectively shelved the plan. By January 1925 the plan was changed to have the subway trains terminate at Hill Street, but below the street. This allowed for an entirely new project to spring up in its wake: The Subway Terminal Building. This "$4,000,000 height-limit granite and terra cotta [building] on the major portion of the site occupied by the Hill-Street station of the Pacific Electric Railway [was] definitely assured" and was billed as "a handsome and unique structure, built with a vision of a greater Los Angeles requiring an extensive subway system." Further, it would "be the only terminal west of New York City that will provide a subway station for electric cars." The building would have "spaces for 600 offices." Its architect was Leonard Schultze of Schultze & Weaver, who knew a thing or two about transit terminal buildings; he&apos;d designed New York&apos;s Grand Central Station ("Height Limit"). As planned, PE officials thought "50,000 persons will make daily use of the new building on completion of the subway" which was under construction at the time. Having rapid transit linking downtown to other parts of the city--namely in this case Hollywood, Glendale, and the Valley--meant that more people could move about and use a building such as the Subway Terminal. The subway would dominate the basement of the building, and it would "be large enough to accommodate five tracks or thirty cars at one time" with "Six incline ramps rather than stairways or elevators [providing] exits to the first floor where [there would be] a large waiting-room and ticket offices" ("Height Limit"). Done in Renaissance Revival-style, the Terminal is located at 417 Hill Street, and made its way eventually onto the National Register of Historic Places. For the fate and present-day use of the Subway Terminal Building, hang on...we&apos;ll get to that later--we&apos;re still in 1925! 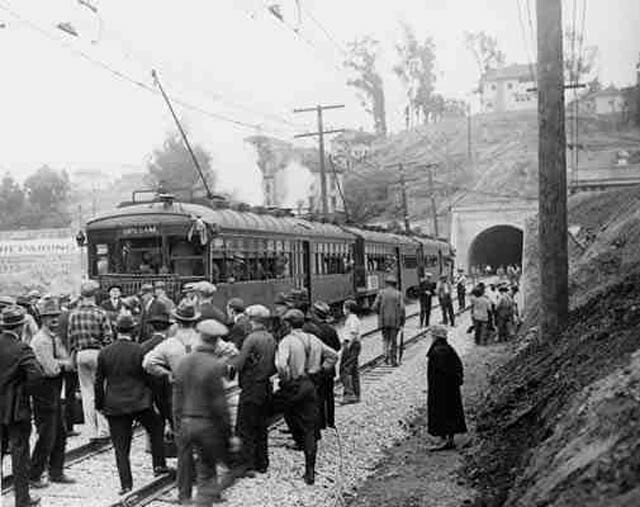 Actual construction on the subway had begun May 3, 1924, and for the next almost two years LA saw much of the work being done on the tunnel and everyone eagerly awaited its exciting opening. (For a detailed account of the construction, see the EHRA&apos;s section on the subway entitled "Construction"). By early November of 1924 the project was reported as being "speeded" and half-done at the time, with an eye on less than a month until completion. The work was being cranked out as "three shifts are being worked at three locations by Twohy Brothers, contractors," ("Underground"). Anticipation was high (as was the prose of the LA Times&apos; Joseph N. Park: "Out of a dream of empire builders of days hardly gone by, comes now to Los Angeles the completion of an ephochal achievement which even so is but the forerunner of mightier projects yet to rise..."). According to the EHRA, "The tunnel as built turned out to be a double-track, concrete lined, semi-circular arch section with overhead trolley [...] From Hill Street to a point 65&apos; west of Olive Street, where the station tracks converged into the two main line tracks, the grade was level. From a point 65&apos; west of Olive Street to Flower Street the grade was plus .5%, and from Flower to First & Glendale Boulevard a plus 2.1%. 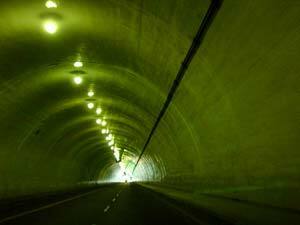 The total length of the tunnel was 4,325 lineal feet; its width was 28 feet, and its height was 21&apos;3"." The Hollywood-Glendale-Valley Subway extended from the westerly line of Hill Street in a northwesterly direction approximately parallel with Fourth Street, under and across Olive, Grand, Hope, Flower, and Figueroa, thence on a five-degree curve about 900&apos; in length to the north, under and across Fremont and Beaudry Avenues and the intersection of Fourth and Boylston Streets, thence on a tangent in a northerly direction under and across Crown Hill Avenue, Third Street, Sapphire, Bixel, and Emerald Streets, and to the intersection of First Street and & Glendale Boulevard (EHRA). 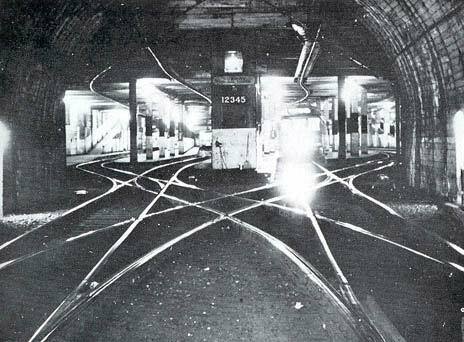 The actual underground route was frequently referred to as the Belmont Tunnel, and was companioned at its end at 1st and Glendale by the Toluca Substation, which provided all the power for the electric trains. Construction on the substation had begun in October of 1924. According to Wikipedia, the Belmont Tunnel "connected the tunnel&apos;s portal near the intersection of Beverly and Glendale Blvds. in Westlake with the Subway Terminal Building." The ride underground saved passengers "approximately twelve minutes during normal traffic hours and as many as twenty minutes during peak hours," ("Train Tunnel"). The subway opened on December 1, 1925, but on the day before a pre-opening luncheon and inspection of the tunnel and tracks by officials was held, and then followed by being opened to the public for free rides and a a free look until 10 p.m. Regular service began the next morning. At the time of opening, only the Glendale PE line was using the tunnel, to be joined later by the Valley and Hollywood lines. Initially 148 trains per day used the tunnel, but it was projected that in the coming year, between 700 and 800 more trains would use the space each day. The tunnel cost $3, 500, 000 to build, plus an additional $500,000 to outfit the Terminal Building for the trains&apos; use (Park). Tunnel mania seems to have over-taken businessmen who brought all sorts of ideas before the City Council, including one rather curious one in August of 1925 to construct another tunnel beneath the existing Second Street tunnel (which was for vehicle traffic, not rail; pictured at right) that would have "a movable sidewalk, on each side of which would be a free public sidewalk. The [Tunnels Transportation] Company was to charge 5 cents for two rides on the movable sidewalk or passenger conveyor, on which there were to be seats," ("Subway Plan"). It is not surprising that, following objections from at least two council members, this proposal did not see the light of day, as it were. In early 1944, a total of 884 trains, made up of 1194 cars, entered and left the Subway Terminal and surface tracks. At the time five rail lines used it; from the subway proper ran the Glendale-Burbank Line, the Santa Monica Boulevard.-West Hollywood Line, the Van Nuys Line, and most of the Hollywood Boulevard. Line; the Venice Short Line ran out of the surface terminal. From the bus deck over the surface tracks operated the Redondo Beach Line, the Santa Monica via Beverly Hills Line, and the Beverly-Sunset-Castellemere Line. Altogether, these lines carried 65,000 passengers daily into and out of the Subway Terminal. Moreover, a large proportion of the assignments of trainmen and operators for Western District passenger lines, as well as all assignments for box motor and railway post office operations out of the Union Passenger Terminal, were made from the Subway Terminal Foreman&apos;s office. Other Western District assignments were made at West Hollywood and Ocean Park. Truly, the Subway Terminal was the focal point of all activities on the entire west. Following the end of World War II, a sort of normalcy returned to the streets of Los Angeles, and the suburban boom continued, along with the increasing popularity of private vehicles. There has been much recorded speculation about a conspiracy of sorts between car companies and city planners, among others, who are thought to have orchestrated the end of the PE rail car system and popularized the massive freeway system, and Angelenos&apos; growing dependability on the private automobile. What was happening that is indisputable was a marked decrease in ridership, which questioned the effectiveness and value of the subway, along with the other rail lines that crossed the city and county. By 1948 it seemed LA residents needed to be reminded that there was a subway here at all; in a regular LA Times column about LA history called "Do You Know Your City?" its author reminds readers that the "City Has 10 Traffic Tubes and One Train Subway." The article explains how the tunnels came to be, and points out that "ambitious subway plans for the spreading city have been revived at least once a decade since Edward H. Harriman, pioneer railroad magnate, proposed an underground system in 1906," and that while the 1 mile of subway tunnel was meant for PE&apos;s electric cars, "automobiles occasionally blunder into it from the street-level western end," which seems to indicate that LA was becoming a car-centered town as the 40s came to an end ("Do You"). In 1951, as the Hollywood and Santa Ana Freeways were being built, many began to contemplate the evolution of transportation in Los Angeles. Columnist Timothy G. Turner noted "that the old town will never look the same." 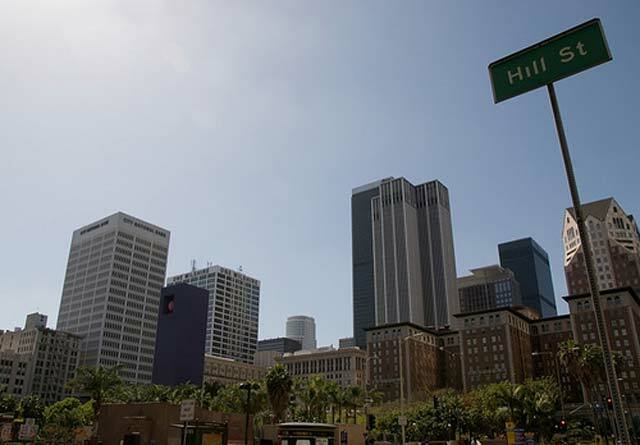 He observed that "like other large American cities Los Angeles is in a struggle with the automobile. Transportation is the No. 1 civic problem. We have chosen to try to solve the motor traffic problem before we solve the public rapid transit question" (Turner). Over 25 years after its opening, and Los Angeles&apos; "subway" system remained stunted with just that same one mile of underground tracks for the above ground streetcars. 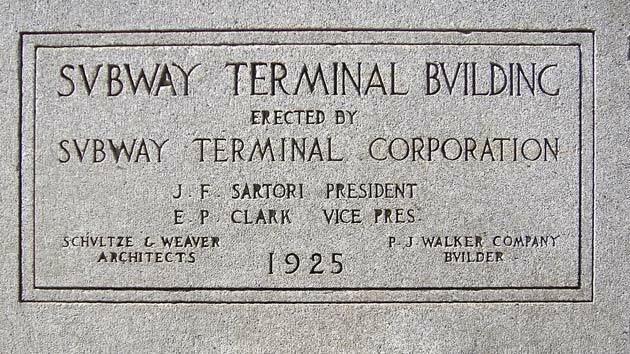 Turner commented that "many years ago they had a subway system planned and they built the terminal first and that was as far as they got. It is still as far as we have got in solving the problem of public transportation." It wouldn&apos;t be long before the issue of the subway--and the streetcars--would be an almost moot point. It seemed the fate of the rails, at least, in terms of public transit, had been decided, when PE&apos;s massive system was bought up just two years later. By 1961 the entire PE rail system was wiped off the maps, and the last Red Car went down the Long Beach line, signaling the end of an era (Pitt). Once the Metropolitan Coach Lines acquired all the rail lines in October of 1953, the next concern was what would become with all the space devoted to PE&apos;s rail cars in the Subway Terminal Building. A spokesman for the purchasing company thought "it would make a good bomb shelter, but would impractical for two-way operation of busses [sic] underground" because of how narrow the space was, and because of "terrific problems of ventilation and pumping operations" ("PE Terminal"). Finally, it was announced in 1955 that the subway tunnel would cease operation at 1:40 a.m. on Sunday, June 19th, which was "when the last regularly scheduled car of the Glendale-Burbank line [would leave] the Subway Terminal Building" and "the last car to arrive through the subway [would] be at 1:20 a.m." ("Streetcar"). 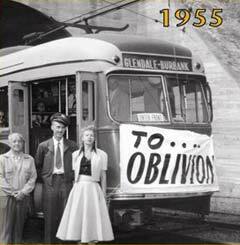 The destination sign on the last train out read "To Oblivion." What would be next? Well, "a fleet of 40 motor coaches [was] assigned to the new Motor Coach Line 75 by Metropolitan Coach Lines" ("Streetcar"). The bus lines somewhat followed the rail lines. One by one the rail lines using the Subway Terminal were converted to motor coach operation. PE itself cut down the Valley and Santa Monica Boulevard.-West Hollywood Lines. 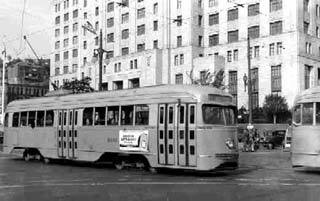 Metropolitan Coach Lines, purchaser of PE passenger service on October 1, 1953, was successful in scuttling the Hollywood Boulevard. and Glendale-Burbank Lines. The Venice Short Line, sole user of the surface tracks, gave up the ghost in 1950. The last regular car left the cavernous, brooding subterranean trainshed early Sunday morning, June 19, 1955. With its rear markets went the hopes of Angelenos for a true rapid transit system; with it also went PE&apos;s four millions, now represented by a hole in the ground which apparently could be used for nothing. Most of the trains were scrapped on Terminal Island, although some were shipped to Buenos Aires for use there. The tunnel sat vacant for years, although it was used "for storage of impounded autos and some microfilm storage in the downtown train shed--which was also stocked with a certain amount of foods, first aid material and other requisites for use as a disaster shelter," (EHRA). 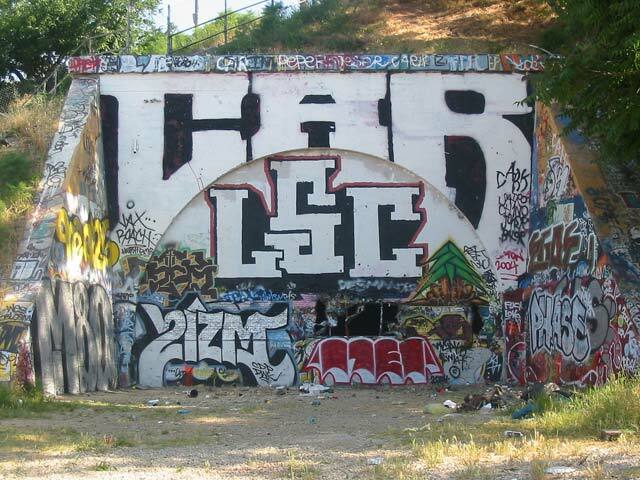 The tunnel was destroyed in stages, the first being in 1967, "when that portion from Flower Street to just west of Figueroa Street was filled in, due, it was claimed, to the fact that it was &apos;unsafe&apos;" although some 20 years earlier the Harbor freeway was built on top of it with no extra reinforcements because it was thought to be that sturdy (EHRA). A 2000 website assembled by an enthusiast shows what had become of the Belmont Tunnel by the 80s and 90s. As for the Subway Terminal Building, the fate seems to be absolutely contrary. Now hailed as the Metro 417, it&apos;s a luxury condo building that offers residents the best of the city in a historic building. In 1978, Los Angeles once again entertained the idea of a subway, and once again began the battles, surveys, and controversies. Out of that plan, however, emerged our Red Line; perhaps Joseph N. Park, the LA Times writer who rhapsodized in 1925 about the opening of the Belmont Tunnel and the 1 mile of subway, would find it to be the "mightier project" he--and others--once predicted for this great city. Still, we argue on and on about our transit&apos;s extension, the congestion of our streets, and now, a new focus on saving our environment. Perhaps what&apos;s "mightier" still lies ahead. "Changes Urged in Tunnel Plan." LA Times. Jun 18, 1924. Pg. A8. "Do You Know Your City?" LA Times. Feb 1, 1948. Pg. 24. "Hearing On Tube Plan Tomorrow." LA Times. Aug 10, 1924. Pg. A16. "Height-Limit $4,000,000 Subway Terminal Building is Planned." LA Times. Jan 8, 1925. Pg. A1. Metro.net: "Comprehensive Rapid Transit Plan for the City and County of Los Angeles (1925) Kelker, De Leuw and Co." (webpage). "Pacific Electric Accepts Subway Terminal Plan." LA Times. March 17, 1923. Pg. II1. Park, Joseph N. "How Subway Will Absorb Downtown Traffic Pressure." LA Times. Nov 22, 1925. Pg. C23. "PE Terminal Fate Hinges on New Plea." LA Times. Dec 10, 1953. Pg. A1. 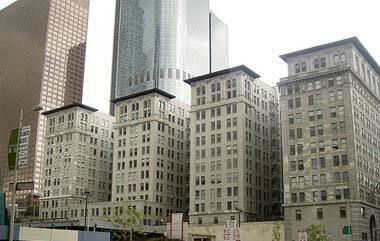 Pershing Square: Historic Background. (website via Public Art in LA). Pitt, Leonard and Dale Pitt. Los Angeles A to Z.. University of California Press, 1997. Pg. 208, 237-8, 373-5. "Subway Extension Urged." LA Times. Aug. 7, 1924. Pg. A18. "Train Tunnel Ready to Use." LA Times. Nov 19, 1925. A1. Turner, Timothy G. "The Changing Town." LA Times. April 10, 1951. Pg. A5. "Underground Street Car Line Speeded." LA Times. Nov 5, 1924. Pg. A1. "Vast New Rail Subway is Urged By Engineers." LA Times. Sep 21, 1923. Pg. II1. "Will Draft Subway Plans." LA Times. Jul 8, 1924. Pg. A1. Rail lines at the "throat" of the tunnel, source unknown. Train "To Oblivion" via the City of Glendale/Library.